Contributions from the consumer business in Australia were held back by the temporary suspension of migration to NBN, which is likely to extend into 1HFY19. EBITDA margin for Group Enterprise gradually declined due to a shift in mix towards managed services and business solutions. Management promised regular dividends of 17.5 S cents for the next two financial years, demonstrating confidence that earnings would not be unduly affected by competition in Singapore and Australia. Maintain BUY with a lower target price of S$4.22. Singtel Telecommunications (Singtel) reported an underlying net profit of S$807m for 4QFY18, below our forecast of S$889m. Group Consumer: Affected by temporary suspension at NBN. Optus continued to gain market share with net additions of 101,000 post-paid mobile customers. Post-paid ARPU declined slightly by 0.8% y-o-y due to a higher mix of SIM-only plans and price competition for data (increase in data allowance). Mobile service revenue increased 3.7% y-o-y if we exclude device repayment credits. Revenue from the fixed services declined 13.7% y-o-y due to temporary suspension of migrating customers to NBN’s HFC network. The suspension would last for 6-9 months and would be gradually lifted in 2HFY19. EBITDA declined 4.9% y-o-y. Excluding NBN migration revenue, EBITDA would have increased 2.6% y-o-y. In Singapore, EBITDA declined 13.6% y-o-y while EBITDA margin narrowed 3.1ppt y-o-y to 29.2%. Singtel was affected by lower voice usage, both locally and for roaming. Customers switched to SIM-only plans, which accounted for 18% of new and re- contracting post-paid customers (previous: 15%). Post-paid ARPU dropped 9% y-o-y to S$61 and mobile revenue decreased 5.7% y-o-y. Pay-TV revenue decreased 9.7% y-o-y as pay-TV subscriber base contracted 3.2% y-o-y in 4QFY18. Fixed broadband revenue grew 6.8% y-o-y due to strong take-up for 2Gbps home fibre plans..
Group Enterprise: ICT commands lower margins. Revenue from cyber security (classified under ICT) increased 16.1% y-o-y, which helped cushion the drop of 5% y-o-y from data & Internet. Group Enterprise's EBITDA margin contracted 1.2ppt y-o-y to 25.8% due to an increased mix of the lower-margin ICT business and price competition for traditional carriage services. Group Digital Life: Cross-selling increases scale for digital marketing. Revenue from digital marketing increased 54.3% y-o-y. Amobee was able to scale up by leveraging on the newly-acquired Turn, who offers data analytics solutions for marketers. HOOQ and Data Spark lacked scale and accounted for less than 5% of Group Digital Life’s revenue. EBITDA was marginally positive due to one-off content credits and government grants. Regional Mobile Associates: A mixed bag. Contributions from regional mobile associates declined 24.9% y-o-y to S$488m. Contributions from AIS and Globe Telecom grew 7.5% and 9.3% y-o-y respectively, which cushioned the drop in contributions from Telkomsel of 22.1% y-o-y. Telkomsel suffered steep declines for voice and SMS revenues and slower data growth and rupiah depreciation of 9.3% y-o-y. It lost 3.6m mobile customers q-o-q due to increased competition ahead of the deadline for pre-paid SIM cards registration by 30 Apr 18. Contributions from Bharti Airtel were decimated by reduction in mobile termination rates and price cuts instituted by Reliance Jio in Jan 18. AIS’ service revenue grew 6% y-o-y driven by mobile data and fixed broadband. EBITDA expanded faster at 9% y-o-y due to lower regulatory fees and its cost savings programme. Globe’s service revenue grew 8% y-o-y driven by mobile data. EBITDA grew 24% y-o-y as operating expenses were stable due to its cost management initiatives. Contributions from Globe were moderated by Peso depreciation of 10.8%% y-o-y. Management guided for low single-digit growth for revenue and stable EBITDA for FY19. Mobile service revenue should grow by low single-digits for Australia and decline by mid-single-digits for Singapore. Dividends from its mobile associates were unchanged at S$1.4b. Cash capex is budgeted to drop S$0.2b to S$2.2b after three years of intense capex for Australia. Free cash flow is expected to improve S$0.1b to S$1.9b for FY19. Management is targeting to achieve cost savings of about S$500m through digitalisation and automation in FY19. It will optimise its online and offline channels to deliver pleasant customer experiences. Providing clarity and certainty to future dividends. The board has recommended a final dividend of 10.7 S cents for FY18. Including the interim dividend of 6.8 S cents and special dividend of 3.0 S cents, total dividends would be 20.5 S cents, representing a dividend payout ratio of 81% for ordinary dividends. Management intends to maintain ordinary dividends at 17.5 S cents for the next two financial years and, thereafter, revert back to paying 60-75% of underlying net profit. We see the promise as a demonstration of management’s confidence that group earnings would not be unduly affected by increased competition in Singapore and Australia. We cut our net profit forecast for FY19 by 7.5% due to reduced assumptions on contributions from the consumer business in Australia by 13.7% (weakness for broadband extends into FY19) and the Group Enterprise by 16.7% (margins affected by shift in revenue mix towards ICT). 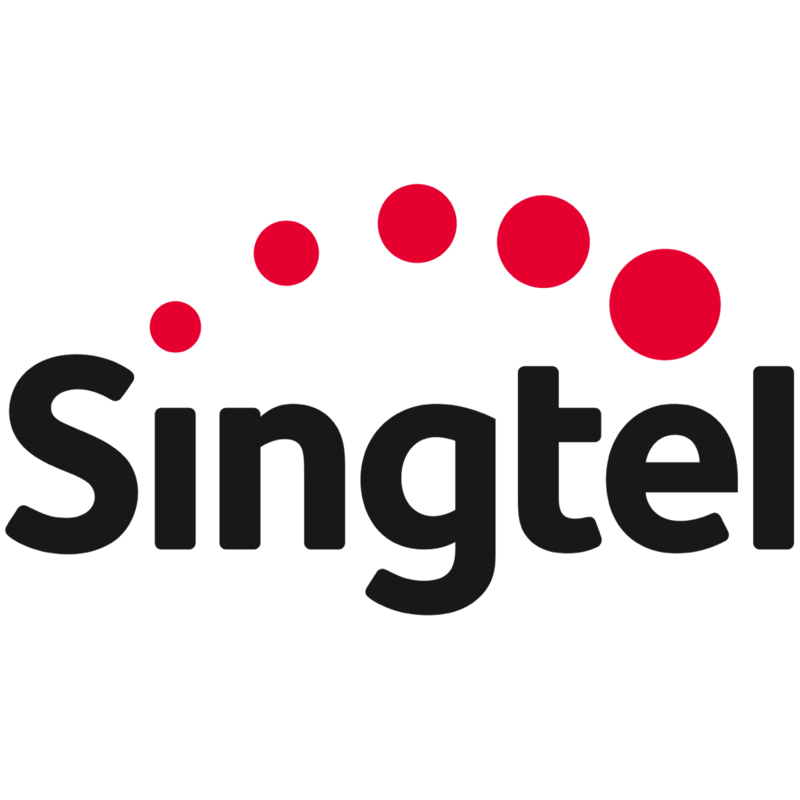 Our new target price for Singtel is S$4.22 based on DCF (required rate of 5%, growth: 1.8%).